A unique beer festival is bubbling up on the Westside. 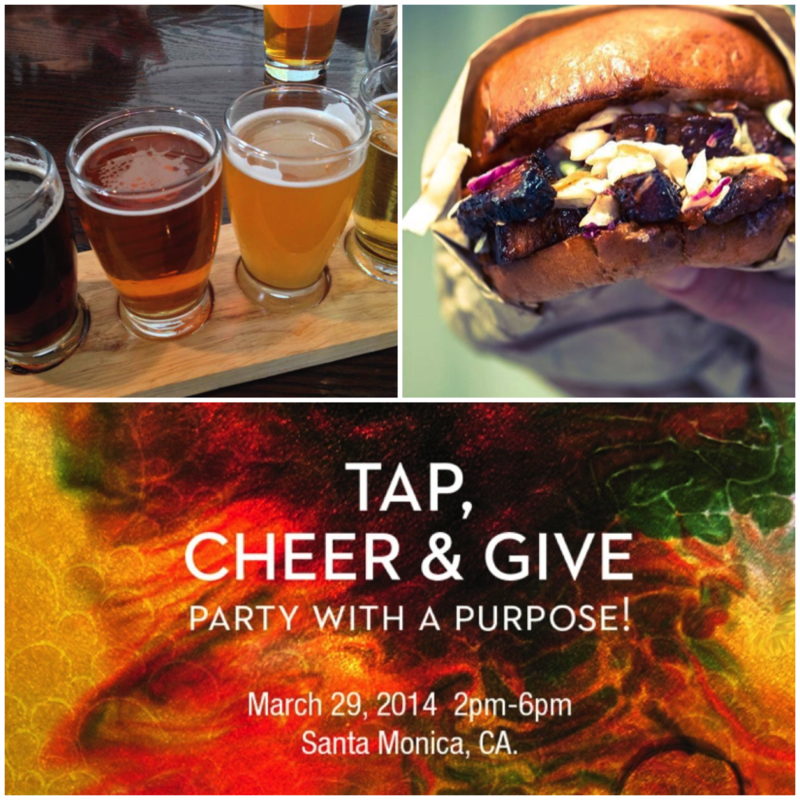 This Saturday, March 29, Tap, Cheer & Give will pair locally produced craft brew with cause-supporting brands like TOMS to create an afternoon of tastings and entertainment. Held at Santa Monica's startup community hub Cross Campus, from 2-6pm, the event will feature 20 beers on tap and 5 cause-supporting brands. Everyone receives a 5oz souvenir glass to sample a stellar lineup of craft beer from local breweries including Golden Road, Ladyface and Venice Duck Brewery. If Venice Duck Brewery has its Dowgtown Duck IPA on tap, it is not to be missed. The guys behind Venice Duck also own Melody Bar & Grill, which will be in attendance, along with Abbot Kinney’s Pork Belly’s Sandwich Shop. (See below for the full list of breweries and vendors.) Home-brewed sodas, coffee and herbal teas can be sampled too. And for the ultimate beer nerds, 20-minute crash courses on beer and how to evaluate them will be held by experts including Tomm Carroll, beer judge and writer for The Celebrator and Beer Paper LA. Tickets are $40 online and $45 at the door, and attendees can select one of the five causes to donate 10 percent of their ticket price. Photos provided by Tap, Cheer & Give.